"Where You're Most Likely to"
Already, one of the top-ranked liberal arts colleges, our charge was to position Williams to compete for undergraduates against top universities. We needed to convey Strength vs. Quirky, Cosmopolitan vs. Remote and University-level vs. College-level Advantages. Underlying many of the most impressive facts and experiences about Williams is an unspoken idea: At Williams—as opposed to almost any other college or university—students are more likely to experience or enjoy particular advantages. Our strategy was to make this unspoken idea explicit. Following this successful project, Pentagram and I were invited to develop the strategy and messaging for the college’s Teach It Forward comprehensive fundraising campaign. Our strategy was to move “blue” from school color to school creed. Columbia Blue means living in a city driven by the smartest, newest ideas — both ambitious and humble. Working among intellectual giants past and present inspires students to take their own giant steps. Being the most diverse student body of any campus makes life more interesting, more fun, in a word – better. Connecting students to talented and successful alumni early and often is embedded in the Columbia experience. Having intellectual confidence forever is earned through Columbia’s one-of-a-kind Core Curriculum. “True blue” to all of this is the story we tell in these publications and complementary website. 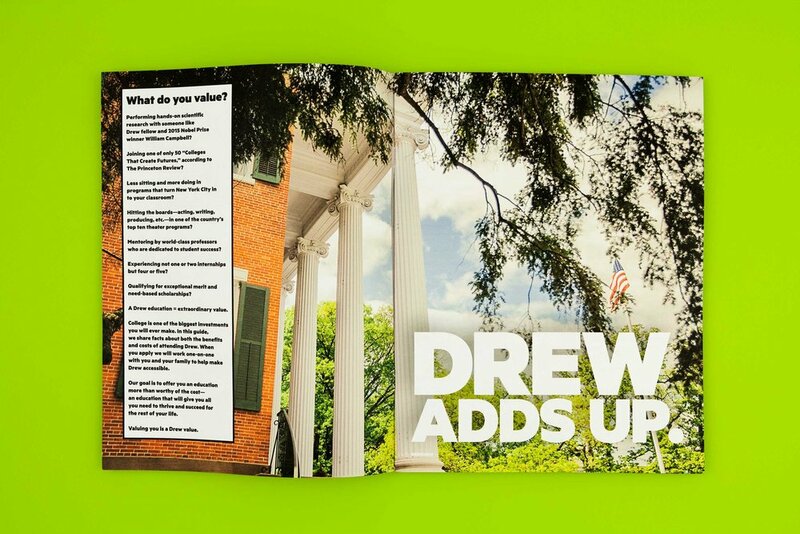 An esteemed university building on its past and intentionally remaking itself in the new higher education landscape, Drew’s communications are all about the student’s perspective rather than the institution’s point of view. Speaking to savvy students, Drew’s recruitment voice is a little irreverent, smart, sophisticated, friendly, honest, and real. 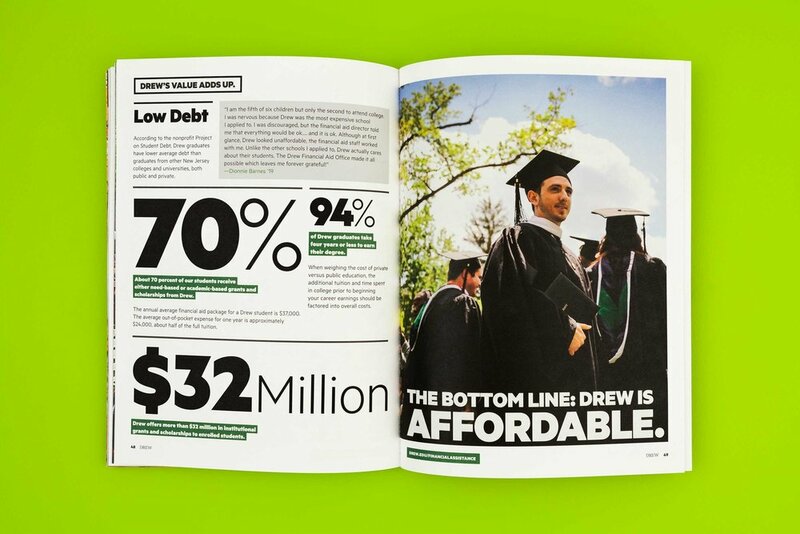 Building from Drew’s founding ethos of “freedom," we built a recruitment campaign calling students to “declare” their financial freedom, professional freedom, and the freedom to make their dreams come true at Drew. 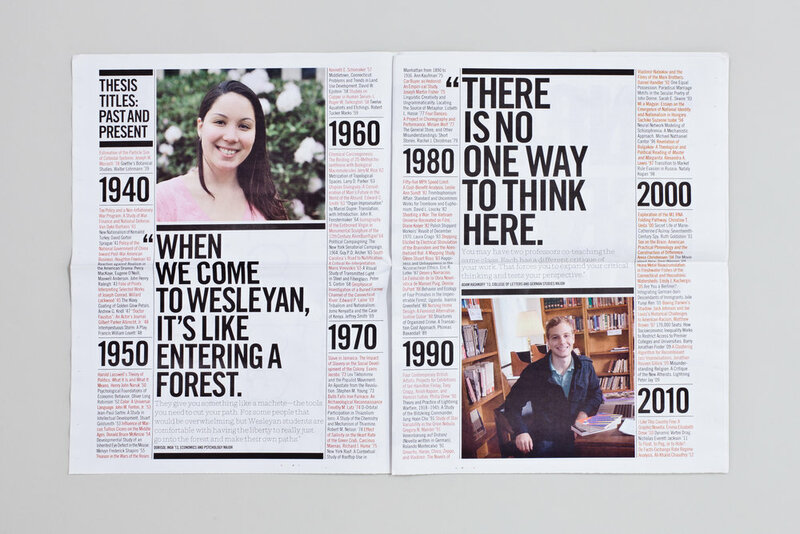 "Saving the World Bit by Bit"
Pentagram Design was invited to develop a new visual identity to capture the work of MIT Libraries' Task Force on the Future of Libraries. I was asked to develop the verbal messaging guidelines to accompany the new design. The result is a communications strategy and story that upends what many think about libraries today: powerful versus vulnerable. Described as an alumni body “allergic to brand” we set out to turn the bug into a feature. 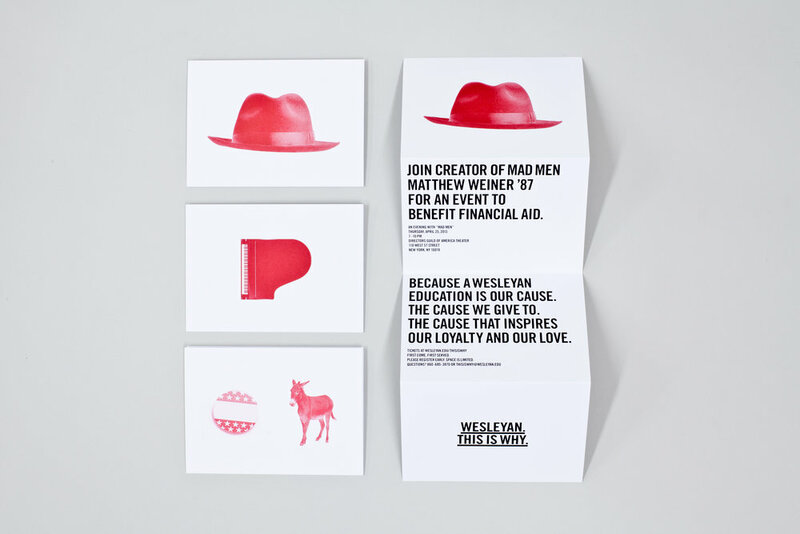 We embraced Wesleyan’s question-the-status-quo ethos with an “uncampaign” that built from the ground up with #thisiswhy hashtags and a slow-building reveal to the campaign, which was designed to make a Wesleyan education a cause worth fighting for. Designed to give undergraduate applicants an insider's view into Yale University, this recruitment campaign aims to make Yale more accessible to students from all backgrounds. The goal is to put every inquirer and applicant on an even footing as they explore Yale’s opportunities. 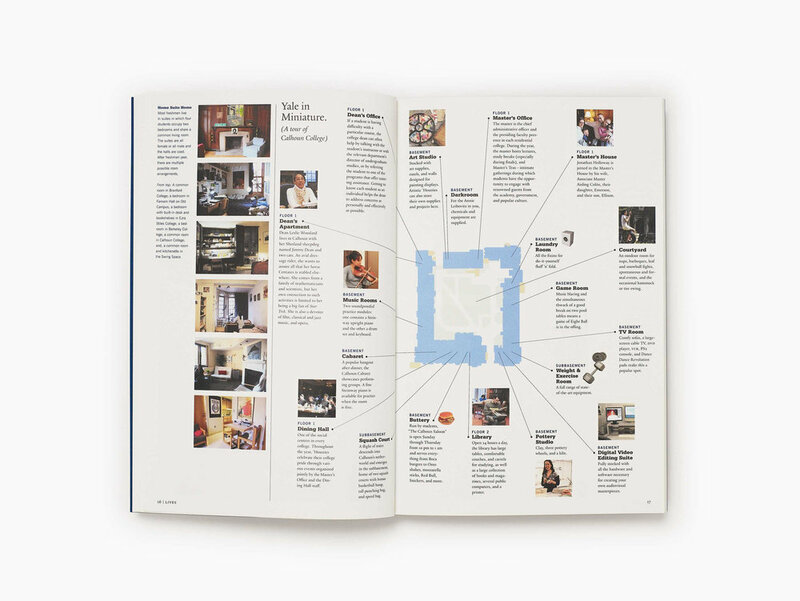 The viewbook (complemented by a related website) is intended to be so interesting with its dense layers of detail from an annotated map of a residential college, to an illustrated listing of all the theater, music, film, and fine arts offerings in a typical weekend, to a series of vignettes detailing students’ studies abroad, accompanied by the students’ own photographs — that prospects would find it hard to throw away. Andrea Jarrell has led brand, comprehensive campaign, and recruitment message strategy for over 50 institutions. Her work marries marketing communications strategy with creative storytelling and has received numerous honors from the Council for Advancement and Support of Education (CASE) and Admissions Marketing Report, as well as being recognized by The Association of Boarding Schools (TABS). Jarrell is the former director of public relations and communication for Scripps College of The Claremont Colleges, and, later, its director of development. She has worked in magazine and book publishing in New York City, public affairs in Los Angeles, and nonprofit media and government relations in Austin, Texas. Jarrell holds a B.A. 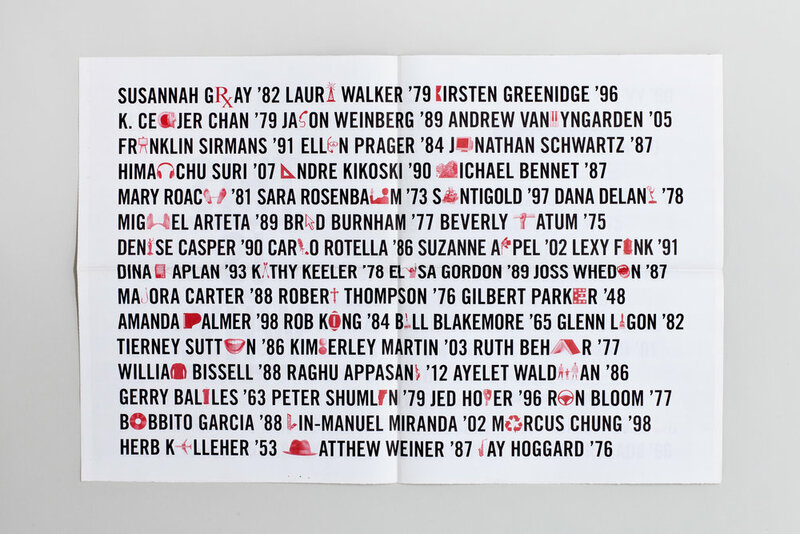 from Scripps College and an M.F.A. in Writing and Literature from Bennington College. She has contributed to several books on brand strategy and fundraising communications. Her essays have appeared in The New York Times, The Washington Post, Harper’s Bazaar, The Huffington Post, Literary Hub, The Christian Science Monitor, and CASE CURRENTS magazine, among many other sites and publications. A Los Angeles native, she now lives in the Washington, D.C. metropolitan area.